Rory McIlroy is determined to regain lost confidence at this week's DP World Tour Championship, after his Race to Dubai hopes evaporated after another roller-coaster round in Sun City. As Lee Westwood carded an impressive eight-under 64 to win for the first time in four years at the Nedbank Golf Challenge, McIlroy shot a one-under 71 to finish 14 shots behind him in 21st at the Gary Player Country Club. It means that while McIlroy moves up to sixth in the Race to Dubai, he now has no chance of catching Francesco Molinari in this week's season-ending DP World Tour Championship, leaving the Italian to battle it out with Tommy Fleetwood in a two-horse race. However, after winning twice in his last five starts at Jumeirah Golf Estates, McIlroy believes he can finish a sometimes trying season on a high, despite coming off a round that featured an eagle, four birdies, two bogeys and a triple bogey seven at the third. 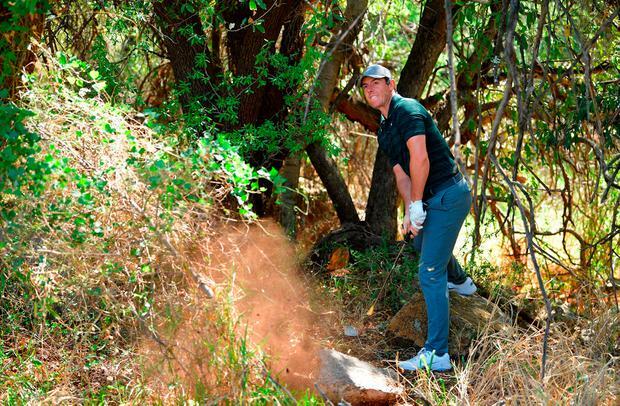 "I feel like the seven at the third sort of summed up the week," said McIlroy, who struggled from the tee. "The margin for error on this golf course is so small. If you get it off-line you're in a bush, and then I start messing around in the bushes and end up taking seven. "It's the same as China a couple of weeks ago. There's signs of good stuff. There's just a lot of mistakes, but again, I'm going to a golf course next week that I've had so much success on. If there's any golf course or any place in the world where I can get a bit of confidence from, it's Dubai." 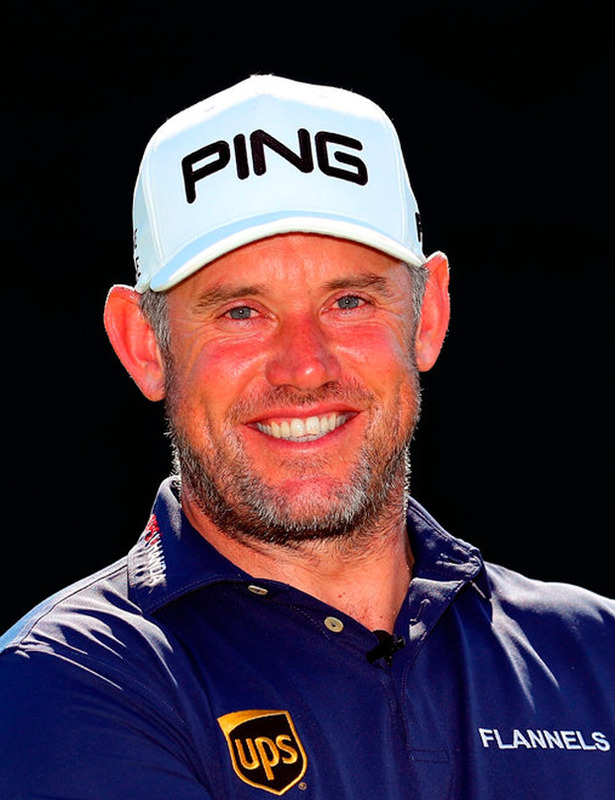 After putting on an exhibition in Sun City, Westwood will also be looking forward to Dubai, where he won the inaugural event in 2009 to deny McIlroy the Race to Dubai crown. The Englishman (45) started the day three strokes behind long-time leader Sergio Garcia before joining the fray for the title with an eagle three from just four feet at the second. The tournament became a three-way battle with the Spaniard and South Africa's Louis Oosthuizen, before Westwood surged clear by following a birdie at the eighth with five more in a seven-hole stretch from the 11th. His 15-under total gave him a three-stroke win over Garcia (70), with Oosthuizen slipping back to third on 11-under after a closing double bogey. It was Westwood's third win in Sun City since 2010, but his first in a Rolex Series event and his first win anywhere since the 2014 Maybank Malaysian Open. "Pretty emotional," Westwood said as he fought back tears following his 24th European Tour victory and his 43rd worldwide. "A little bit relieved. Still got it, I guess. Just nice to do it again under pressure and win against a couple of quality players at the end there; Sergio and Louis were my two nearest challengers." Westwood's win came with his partner Helen Storey on the bag, which may make his long-time bagman Billy Foster a potential target for someone like McIlroy, whose caddie Harry Diamond is now looking forward to life as a married man. "She's caddied twice for me this year and we lost in a play-off in Denmark and we've won here," Westwood said with a grin. "Have to have a bit of a rethink, not least about who caddies for me, but our percentages." Pádraig Harrington came up 181,542 points shy in his bid to make the top 60 who qualified for Dubai this week, though he finished in spectacular fashion. One-over through the turn after a double bogey at the 18th, the 47-year-old Dubliner came home in 32 by following a bogey at the first with birdies at the second, fifth and seventh before closing with an eagle three for a 69 that left him tied for 35th with Shane Lowry on one-over. Both men won €46,048, but with Lowry earning just 52,550 Race to Dubai points, weekend rounds of 74 and 75 meant he fell two spots to 43rd in the standings. As a result he's 365,927 outside the top 30 who will be exempt for The Open next Sunday night and Lowry will need at least a top-three finish at Jumeirah Golf Estates if he's to tick Royal Portrush off his wish list before Christmas. Paul Dunne also closed with a 75 to finish tied 55th in Sun City on eight-over (€19,059), falling one place to 54th in the Race to Dubai. Meanwhile, American Matt Kuchar triumphed at the Maykoba Golf Classic after his final round of two-under 69 left him 22-under overall and a shot clear of New Zealand's Danny Lee. Both Graeme McDowell and Séamus Power failed to make the weekend.